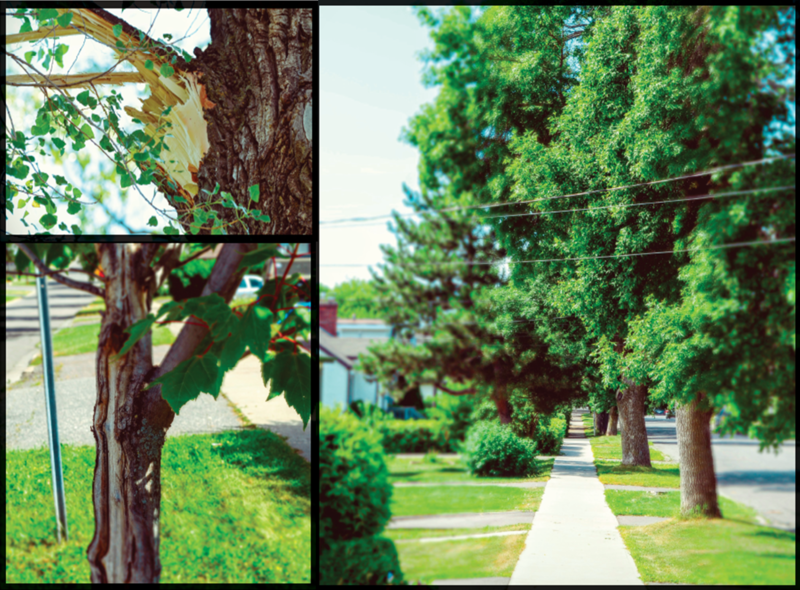 The strength of our urban forest is a good indicator for the health and resilience of our community. Trees produce oxygen, reduce flooding, cool our homes, and make our city a beautiful place. But climate change is causing a lot of damage to our trees, right when we need them most. These pictures not only remind me of how integrated and dependent we are with the urban canopy, but it also reminds me of how vulnerable these trees are, especially with increasing occurrences of drought, freezing rain, and strong wind – all the more important for applying best management practices to create a stronger urban forest that benefits our true wealth of our community!